IITA scientists from all over sub-Saharan Africa met in the Institute’s headquarters in Ibadan for R4D Week, 22-27 November, to discuss breakthroughs in science, the progress in agricultural research, and how IITA’s impacts can be better achieved to meet its goals. 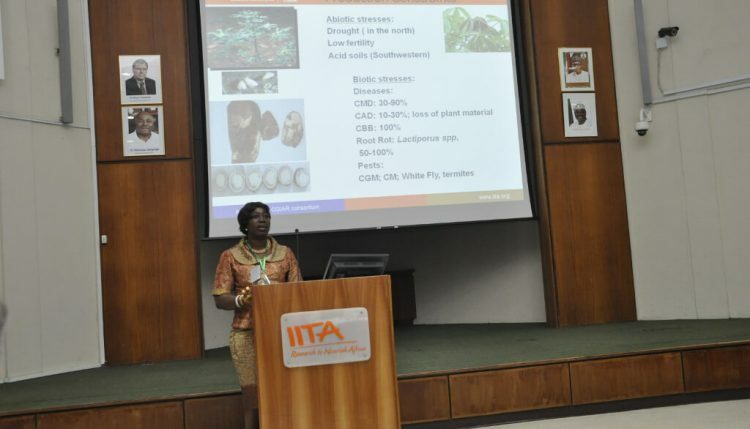 R4D Week 2015 featured keynote presentations by Nteranya Sanginga, IITA Director General, on IITA’s progress in developing an index for measuring the impact of its projects and poverty reduction. He also gave a report on the Institute’s financial status as well as directions for action in 2016. Elizabeth Parkes, Cassava Breeder, highlights major research breakthroughs. The hub directors/research theme leads and scientists working on the different research themes (plant production and plant health, natural resource management, social science crop breeding and biotechnology) (see excerpts in the following pages) gave presentations during the science sessions, with poster presentations; and a panel debate on seed systems. Lunch seminars were also conducted on relevant topics of concern that included Open Access, intellectual property, and capacity development. Ylva Hillbur, DDG Research, presented on the status of the next generation of CGIAR Research Programs (CRP), followed by side meetings on the various CRPs, research themes, new projects, and communication; and a seminar on full cost recovery. This year’s Red Ferrari lecture on “Global Futures and Strategic Foresight: Quantitative modeling to inform decision making in the CGIAR and its partners” was delivered by Keith Wiebe, Senior Research Fellow, IFPRI. IFPRI’s Director for Africa, Ousmane Badiane, also presented on “Economic growth and recovery in Africa: Trends, drivers, and Implications for agricultural research and technology generation for successful implementation of the CAADP agenda”. 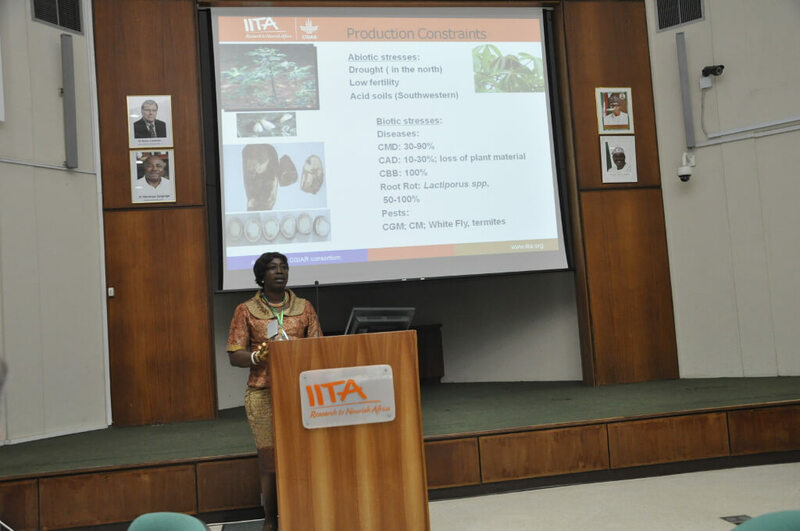 IITA’s Board of Trustees (BOT) also held their meeting from 25 to 27 November. R4D Week concluded with a town hall meeting led by the IITA BOT Chair Bruce Coulman, who also announced and gave out plaques to the winners of the Annual Board Awards for Excellence for 2013 and 2014.